Nearly 30,000 missed the triumphant appearance by a mysterious would-be emperor from a land far, far away. 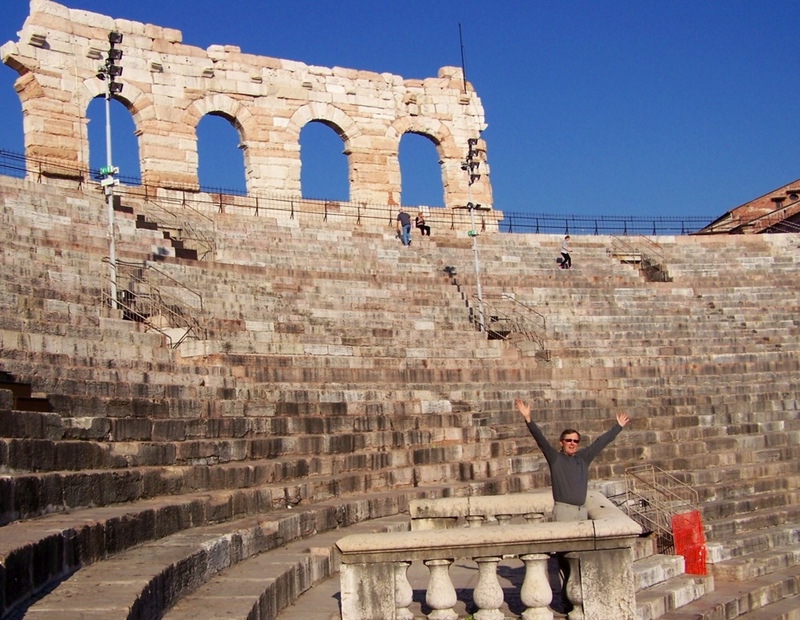 It was not known why the strangely dressed, long-winded speaker chose Verona's Arena, built in AD 30 and the third-largest Roman amphitheater. He was last seen fleeing several angry gladiators. Great Picture. I think I recognize the speaker but my lips are sealed. Reginaldo! I like the ring of that, Trish. I like that, “Friends, romans countrymen lend me your ears”.